Anyone in enterprise IT already knows that big data is a big deal. If you can manage and analyze massive amounts of data—I’m talking petabytes—you’ll have access to all sorts of information that will help you run your business better. Here are some hard facts: Cloud computing made big data affordable. Before, you would have to build a new datacenter to house the consolidation of data. 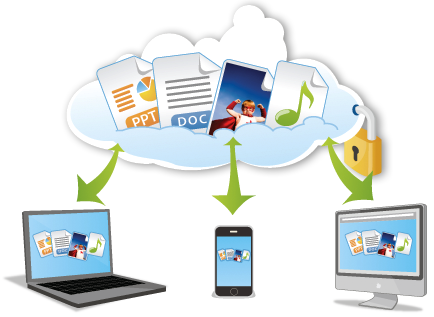 Now, you can consolidate data in the cloud, at bargain prices. How’s that working out? I’m finding that it’s one thing to have both structured and unstructured data in a central location. It’s another thing to make good use of that data for both tactical and strategic reasons. Too often, enterprises pull together the data but don’t know what to do with it. They lack a systemic understanding of the business opportunities and values that could be gained by leveraging this data. What’s often lacking is a data plan. I recommend that every enterprise have a completed data plan before the data is even consolidated in the cloud. This means having a clear and detailed set of use cases for the data (including purpose and value), as well as a list of tools and technologies (such as machine learning and data analytics) that will be used to get the business value out of the data. • Know what data will be leveraged for analytical purposes. I find that that some data that is consolidated is not needed. So you end up paying for database storage for no sound business purpose, as well as hurting analysis performance because the unnecessary data needs to be processed as well. • Understand the meaning of the data, including metadata. This assures that you’re analyzing the right data for the use cases. • Consider a performance plan. If you sort through petabytes of data, that’s a lot of time and cloud dollars spent. How can you optimize? • Have a sound list of data analytics tools. Although many enterprises purchase the most popular tools, you may find that your big data journey takes you to less popular technology that is a better fit. Be sure to explore the market before deciding on your tool set. A little planning goes a long way. Your business is worth that investment.